I really love Tinkercad, for its simplicity and power. The biggest disadvantage it has is that you need to have internet to use it. Even in these modern times, internet is not always everywhere and always available. So it would be more than awesome to have an offline version of Tinkercad. (Similar to Autodesk's Fusion 360) Are there any plans to develop this in the near future? Even in Fusion, the files live in the cloud, but since the app itself is installed in the client, it can have an online mode. Tinkercad uses an engine we call Gen6, that distributes the booleans in several servers. For now I can't promise we can port that to work on a browser any time soon. We have discussed it, and it is still in the roadmap. Hey Any luck porting this to a local version ? Not yet. The whole system was designed as a distributed system, so going offline would require a massive rewrite. We've been working on some enhancements that we'll start making available in beta in the coming months. I support using this offline as well. Sad that i have a really nice computer (8 core, 64 GB) and have to wait for the rendering. I would pay for this for sure. Push the local version please. I am also looking forward to an offline version of TinkerCAD. Even slightly complex models significantly slow down in the program. It becomes almost unworkable due to being highly unresponsive. I've been gradually learning OnShape because of this and really hope this is improved soon. Seems like what you need is for the product to be more responsive and not specifically offline. I'm interested in seeing what kind of models you are trying to do, so if you want to share some of these, you can do it privately by opening a ticket or just sending the urls to me (guillermo.melantoni@autodesk.com). or...even worse thought... what if your site goes down? I work with little kids in Guatemala, if you know the internet is bad and doesn't work always but the software is so cool for children! i show them and they were so exciting but when we login, the web failed :( Only we did a draw. Do you know an alternative offline to Tinkercad? I found something even better for offline use. Its called 3D builder and it comes pre installed for free in Windows10. The new version works great, its very lightweight, and its very easy to give exact measures for models! Came here for the same reason, but like someone said 3D builder already works in a very similar way. I'd still love to have an offline or Desktop app. As a teacher an offline version that doesn't require a sign-in would be amazing. An iPad version would also be really helpful. Tinkerplay is a little too restriction but 123D is a little too much for little kids or even some middle schoolers. I 145th this idea , or at least allow our models to be stored locally. There is times when the site is not working and I cant pull up even a fairly simple model that is already made to tweek or tincker it just a bit. When I try to upload the STL and it wont upload either , it sort of saps the creative juice right out of it... Otherwise I love the way it works and is so often just right since I dont have AutoCad or any other fancy 3D rendering program. PLUS I second yes I would pay for a offline/local file storage version. Any progress made on being able to run a local server or a version able to run locally? I run a ASP 3D printing class and we have had no internet twice and now we are out of non-internet lesson plans. Since the families did pay for our services I must emphasize how disappointed the students and parents are when the internet is down. @blaisetsewell, the slow downs you're experiencing are not due to model complexity, but do to the complexity of the boolean geometry that needs to be calculated. I've experienced the almost unusable slow speed you've mentioned, but it is fairly easy to fix. The thing that is taking a long time is 'compiling' the final model when you have many many boolean operations (grouping of simpler models and holes) cascading together to reach the final result. However, if you're willing to trade some of the grouping history, you can simply export the object (or maybe the immediate-most groups that are then grouped themselves to make the final object, and export them individually if you still need access to the ungrouped objects to some degree) as an STL. Now reimportant, ideally in the different project, and TinkerCAD will no longer need to do all that work to 'compile' your model, as it has it as the precompiled geometry itself. You'll see even the most complex models act nearly as fast as if they were simple cubes. Of course, I would hope that the TinkerCAD dev team is, amongst other things, working on some sort of caching system that would invisibly do this automatically. Cached model data could even be stored locally in a browser store so as not to hugely increase storage loads cloud-side. A simple SHA1 sum of the geometry data for an object could be saved after some tuned idle time (as in, once no changes have been made to a given object and only those of enough complexity to justify local caching). This would make sure that the most recent model data would always have a SHA1 checksum without calculating it over and over during live editing. Then, when the user access a project later, the cached model data's SHA1 sum simply needs to be compared to the saved SHA1 sum on the cloud, and any problems of someone having corrupt, outdated, or otherwise invalid local model data cached is easily solved. If they don't match, don't use the cached data. If they do match, then do. Or that might be a stupid way of doing it. Just a random thought off the top of my head. 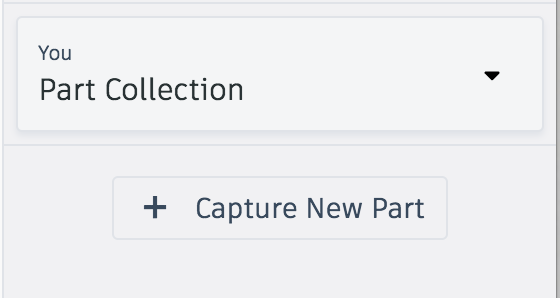 One new option we just implemented, which is a workaround to export/import is to create a "Part". You can simplify your scene by making "Parts" out of reused objects. Once an object is a Part, its sub groups are flattened and it becomes available as an efficient shape in the Shapes Panel under the "Part Collection" category. I have a group of children over seas that I will be onsite with one of my printers and really wish this was able to run offline as they do not have internet, but tinkercad is extremely child friendly.